8 vendors have this plant for sale.66 members have or want this plant for trade. I like the plant. Have it growing around a hydrangea bush, half day sun, dappled in the afternoon. Had a nice patch of various colors growing on a small slope in morning sun that got wiped out after Hurricane Sandy hit Long Island - flooded for less than 24 hr. by saltwater (not sure for how long, I was gone) and I didn't know enough to soak then w/ freshwater after. This is an easy, adaptable, deciduous, clump-forming fern, one that's deservedly popular. The silver and burgundy tones are strongest on new fronds but are retained through the life of the frond. New fronds continue to emerge successively throughout the growing season. 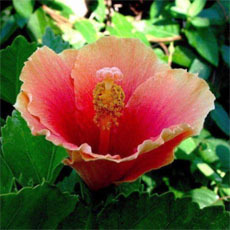 The colors vary from plant to plant if they are not vegetatively propagated. This is a clump-former that does not spread by rhizomes. Where happy, it may spread by spores. After several years, clumps may be divided in spring. This is a small fern and several are usually needed to make an impact in the garden. I've bought about a dozen painted ferns from various sources, mostly big box stores. I was delight to discover some of them have "tassled" fron tips. 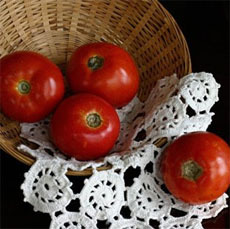 A local Master Gardener identified this variety as "Applegate" but I haven't been able to find any more information about it. Is anyone familiar with it? Had 2 of these for 3 years lanquishing under a Bradford Pear in a raised bed. Was certain they had died at the end of each year but was surprised to see them return the following year. Finally gave them the attention they deserved and moved them to a bed at the edge of some White Pines where they received much more water and unfortunately more attention from rabbits and whitetail deer. However they survived and at least tripled in size. Not sure if the extra acid in the soil or moisture is the reason for success. Probably both. Am anxious to see next years performance. LOVE this fern! It does well for me in my cool, damp, half-shade San Francisco garden. Has anyone propagated this fern? Is it by crown division, or does it spread by rhizomes? 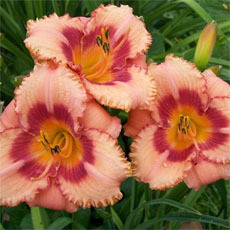 I want to plant a rather long bed of these, but the cost to purchase several dozen plants is a bit out of reach right now. I love my Japanese Painted Fern, and hope soon to add some other varieties of it. (I've had a change to a new garden and house). Their delicacy and pattern are a great enrichment to a usually-plain, though textured, green background. Mine is not robust, but it has had to compete with a lot, plus over-hanging lilac boughs. It's future should be literally brighter ! I think one of the maroon-ish ones is called "Ursulla's Red", and there's also something more light-green that's different from the most silvery one, with a similar pattern in it. Being a pattern-lover, of course I'm really ga-ga about this plant ! Incidentally...isn't Texas "full-sun" a lot hotter than mine, here in Wisconsin, due to it's closer proximity to the equator ? I have mine growing under a large maple and they are doing fine in this dry shade for at least 4 years, although I do give some supplemental water if it hasn't rained for about a week. They get some late afternoon sun. The deer which have ravaged most of the yard this year have left these ferns alone. Japanese painted fern is a perfectly beautiful plant for the Puget Sound area. I grow it in full shade with Maidenhair fern, Vancouveria, Hostas and Astilbe. However, the Vancouveria is overtaking it and I am going to try to move it to a new garden this fall. Hope it 'takes' transplanting! I just purchased this fern and the tag on it says it's hardy to zone 2. Beautiful small fern. I haven't seen the sun tolerance described by others. First year, mine were sunburning badly with 2 hrs. midday Texas sun. Had to shield them. For next season, moved them into full shade where they are doing well, so don't know if established plants are more sun tolerant. This plant is extremely easy to tranplant by division and will survive under light conditions ranging from full sun to fairly dense shade. However, it's size and appearance is best in partial shade. It is an excellent plant for tough areas such as under a large mature tree. On the downside, it is definitely invasive and forms a dense mat of roots that makes later eradication difficult. You can feel and hear the roots crackle as you dig in with your spade. Mine came as a bonus plant with my Var. Solomon's seal, so I planted them together in a protected bed off the deck. They both died back in the winter, and the fern was first to immerge last Spring, followed by the Solomon Seal. Here in Arlington, Texas, in our generally rather dry, shady garden, this is one of the few ferns that survives and thrives. (Others include wood ferns and holly ferns.) Absolutely pest-free and much more tolerant of our summer heat and sun than other ferns. And even when I occasionally neglect to water them enough in late summer and they wilt into the ground, next spring up they come again, lush as ever! I unconditionally endorse them to friends here who want to try growing ferns. 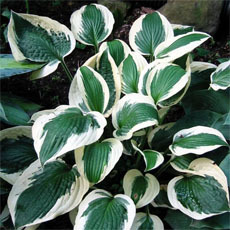 The silvery foliage makes a bright note in dark, shady areas. Japanese Painted Ferns seem limited only by being decidedly deciduous, which leaves bare spots during winter. I have had incredible luck with this fern,quite by accident.I have planted about 6 under Japanese Maples and an old Suger Maple.The companion plant with the fern is Sweet Woodruff and Irish moss,about 3yrs ago in the moss I started finding tiny silver ferns as I was weeding in the moss and every year now there are more.I am going to transplant some this spring and hope they can be happy all around my other shaded areas.It has truely been the most exciteing gardening excperience I've had. I like this plant. I like the look that it provides. I have it planted under my redwood trees. I think the roots of the redwood have hampered the growth of the fern as they barely survive all summer long. They are sluggish and don't do well if I don't give them plenty of water. I will transplant the ferns when spring comes and I can find them. Given the slow growth I still love the color and will keep them in my garden, just not under my redwood trees. This fern does very well in my zone 4 Apple Valley, MN, shade garden. The soil here is clay aggregate, but I have been adding mulch for many years. The in-ground sprinkler system gives it regular moisture, but the nearby trees keep it from getting too wet. The plant really brightens the dark area of the garden. It behaves much nicer than my other ferns - doesn't run as widely and doesn't get tall and brackish. I had these ferns for 3 years. The one in the pic I posted grows nicely, with no special attention in full shade, damp soil with alot of clay in it. I've let them overwinter, in pots the 1st year, and in ground last winter, and they come back nicely (zone 8). Very nice light color for a shady spot. Pretty, low, spreading foliage. 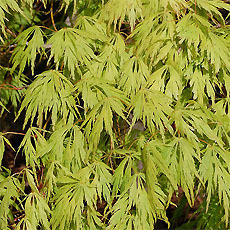 Unlike many other varegated plants, they do not tend to 'green out' in shady locations, but keep their color. Needs plenty of water in order to thrive. 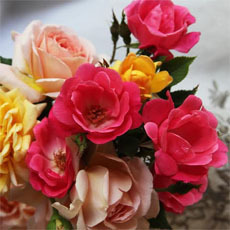 They won't wilt if they are dry, they simply don't grow much. Lovely, lovely plant. No fuss. I have it in mostly shade, part late afternoon/indirect sun. I'd like to get the one with the burgundy leaves to join it. I have these in several areas of my garden. Absolutely no one in this hot and dry valley seems to grow ferns at all, as the wind and sun will dry , the Alkalinity (7.5-8) and extreme clay prevent most folks from enjoying gardening at all. However, I have found the Athyriums to be the most robust, especially A niponicum v. pictum. When established, it has taken some insane drought, and it actually survived and grew larger in East sun with some minor sunburn to old fronds. (Until I moved it to a better place) . With a little organic matter, a bit of water, and shade, I think this is the toughest fern I know of! This plant grows easily for me.... but it isn't all that "painted" it was when I bought it so I know its the right plant but it isn't now. Maybe it needs more sun? Perhaps its only "painted" certain times (like the fall?) As such it doesn't thrill me so much and I prefer native ferns. This is a lovely fern that adds texture and color interest to a shade garden. It's very hardy in zone 5. The PERFECT fern. Absolutely beautiful and not a water hog like most ferns. I have it planted in full shade, dry acid soil under oaks, comes back vigorously every year. Central IL, Zone 5b: I have 2 growing in moist soil (it's a poor drainage area). Soil is moist all the time...even during drought times. One gets morning sun for about 3 hours, then full shade all day. One gets morning sun for 2 hours, then full shade all day. Both are about the same size & growing at the same rate. Coloring is the same despite the sun exposure. They get noticeably bigger every year. These are not delicate plants...more sturdy than they look. Rabbits like to nibble if you're not careful. This is one of my favorite ferns. It's a little difficult to keep growing here - zone 8, central texas, very hot and dry. I have it planted in full shade on the north side of my house and I have to be diligent about watering. Even when it seems to have died completely away, the following spring there will be the tiniest silver leaves coming back! I have to tend them carefully, but by mid summer the plant is large and full again. Zone 7-I found this to be an easy grower with very little maintainence required. In times of water restriction, it came back just a beautiful the next year. My painted ferns are very robust in zone 5 although I admit to having an irrigation system and mulching. They aren't concerned about crowding in my bed and after one was so gorgeous I had to get another and I'll probably keep right on! Probably my FAVORITE fern, but it's delicate -- I lose one or two a year here in Zone 5/6. 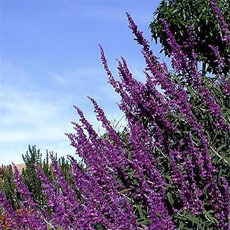 It requires additional water during drought, and doesn't like encroaching plants. But it's certainly worth the extra work: it's really beautiful when it's happy! This plant is doing well and I haven't babied it at all. Like the shade under my dogwood and the foliage really looks nice with hostas and impatiens. This is only the second year for this fern in my garden but it's doing well. 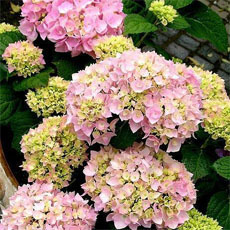 It does need frequent feeding with a general purpose fertilizer for best growth. 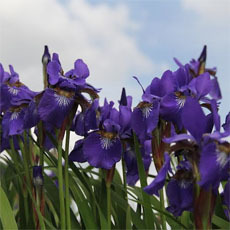 I hope to see it spread to form clumps bordering my woodland shade garden.